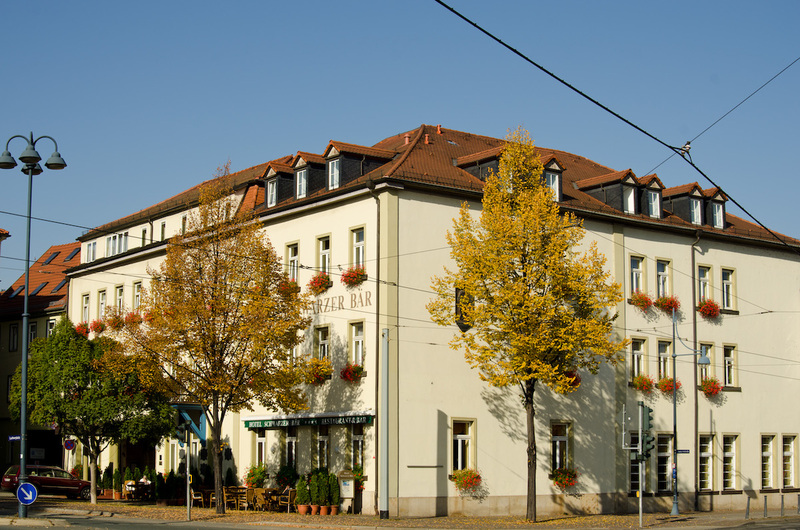 Discover the university city of Jena and spend the night in our comfortable, historical hotel. 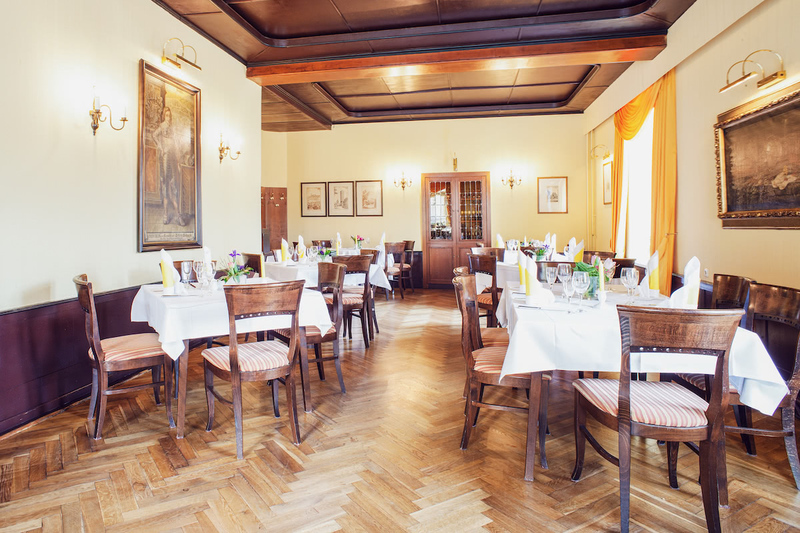 Or enjoy first-class Thuringian and international cuisine in our restaurant..
We are there for you 24 hours! 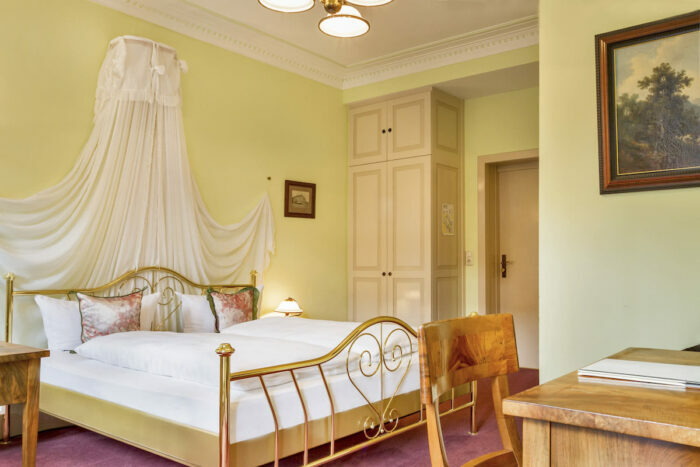 Our historically interesting hotel, with world-famous visitors, has 75 rooms of varying equipment and size. The staff of the reception are always there for you and fulfill your wishes. 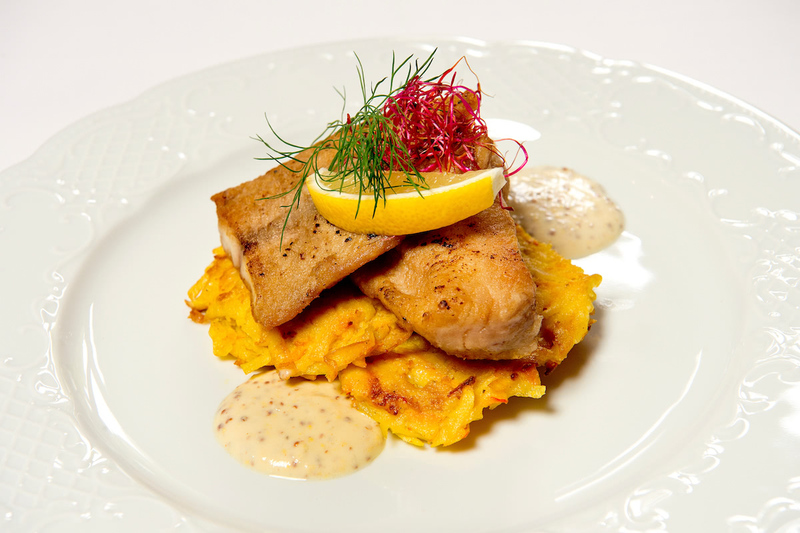 Thuringian culinary art with delicacies and fresh culinary ideas. Enjoy the relaxed atmosphere in our restaurant and be pampered by our professional chefs with delicacies and fresh culinary ideas, suitable for the season. 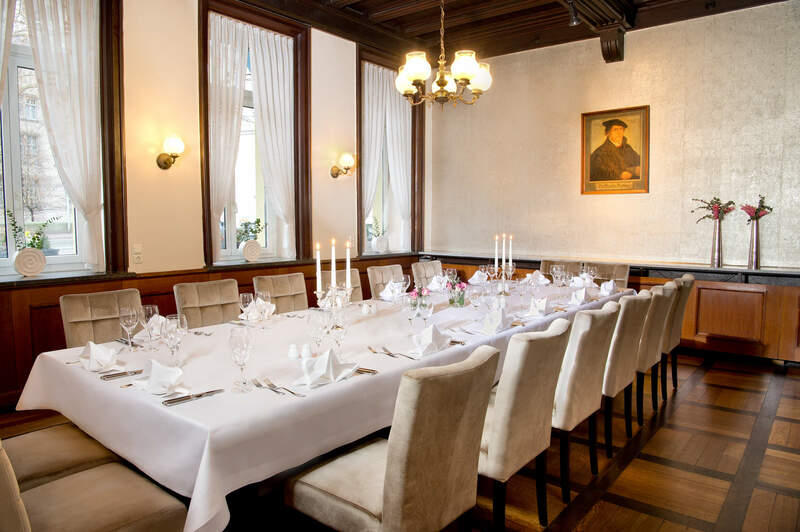 Conferences and meetings in Hotel Schwarzer Bär. For conferences, seminars and meetings our historical but modern equipped rooms for up to 100 participants in different rooms, salons and rooms are at your disposal. Contact us. 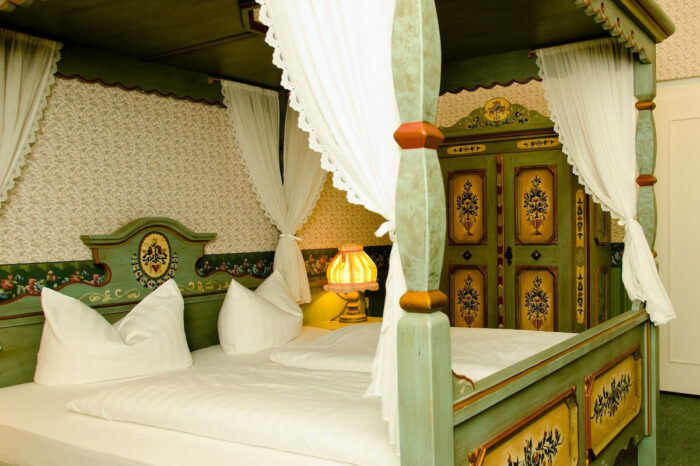 The Hotel Schwarzer Bär was mentioned for the first time in the middle of the 15th century as a guest house. We have been the host for many historical figures and thus being embedded into the history of Jena. 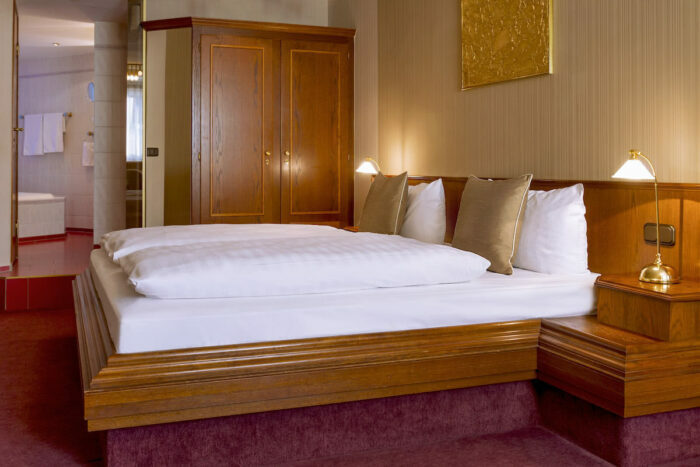 Our authentic hotel is located just across from the university and about an 8-minute walk to and from the Jentower. Our hotel connects hospitality and culinary art together. We reconcile tradition with being modern at the same time which should turn your stay into a memorable experience. We look forward to welcoming you! Please rate us on well-known internet portals.